If you’re organizing a Mother’s Day baby shower and need some great ideas, we have a perfect collection for you! We have found some of the best suggestions and ideas to help you organize a wonderful Mother’s Day baby shower. Take a look! Setting up a buffet is a great way to proudly display all of those delicious treats you have prepared for your guests. 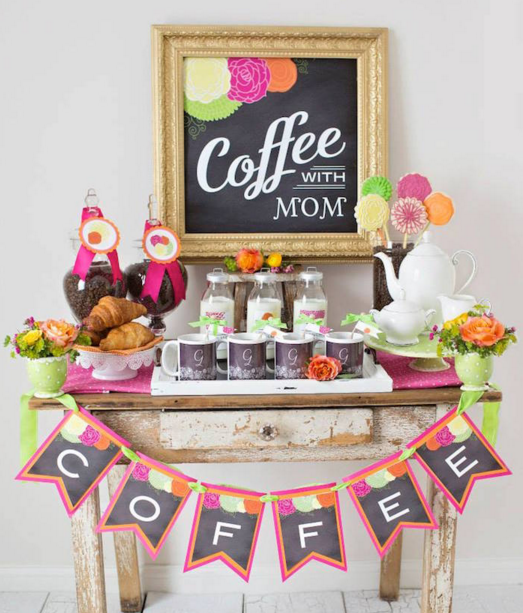 Of course, since this is a baby shower inspired by Mother’s Day celebration, make sure to remind your guests by placing a framed blackboard or a banner inside the buffet. > Looking for baby shower favors that won’t bust your budget? These one-of-a-kind baby shower favors under should do the trick!